Business Operations Manager / S.S.E. Chris has over 40 years’ experience in the quarry industry starting out as a crushing plant operator and working his way up to management positions in contract and fixed plant crushing operations for a major firm throughout Australia. 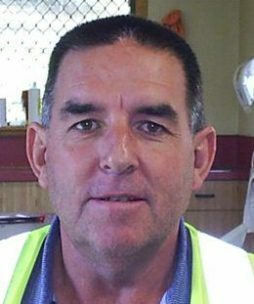 Chris holds both a South Australian quarry managers certificate of competency as well as a restricted quarry manager’s certificate for Western Australia. His career has seen him involved in all aspects of quarrying including establishment of greenfield sites as well as development and rehabilitation of existing sites.